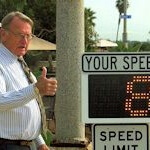 SpeedBoss gets the thumbs up! 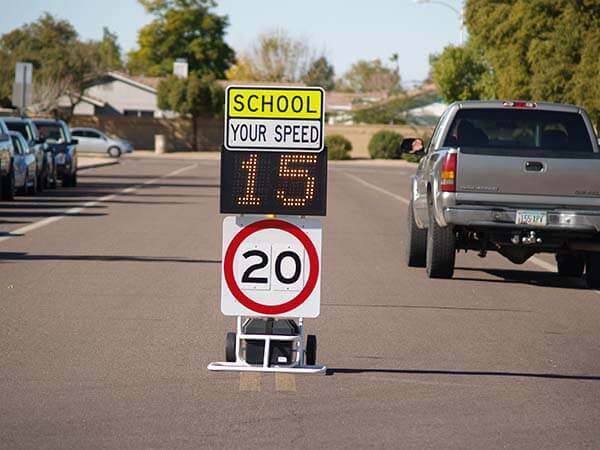 The RU2 SpeedBoss & SpeedBoss-SZ Speed Radar Dollies have a bright 12” tall character LED display which vividly announces for all to see how fast vehicular traffic is going in sensitive industrial and school environments. 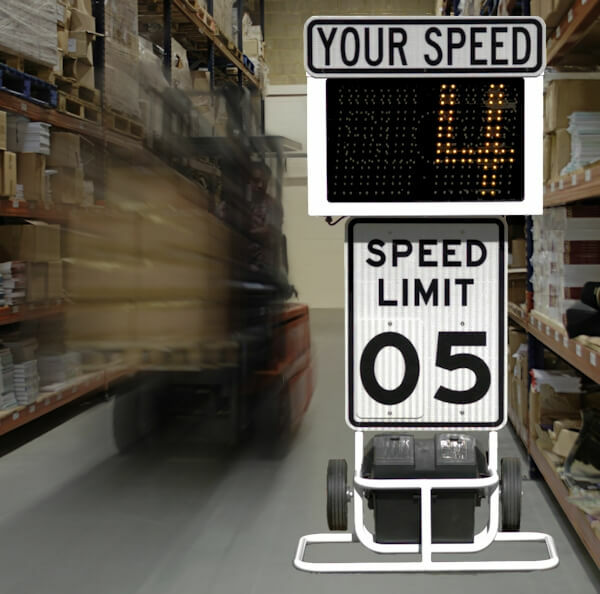 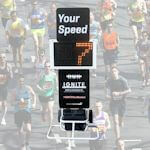 The optional “SLOW” Violator Alert, with variable set points in 1 MPH increments, sends a distinctive and unmistakable message that “You’re Going Too Fast!” Highly portable yet extremely stable, this radar speed sign was designed for the job, picking up and displaying speeds down to 2 MPH! 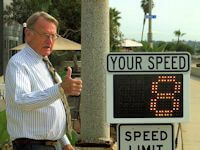 Our speed signs have weather resistant* construction for service inside and outdoors. 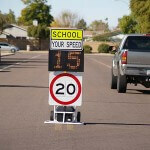 Start your campaign against School Zone speeding with the SpeedBoss-SZ.